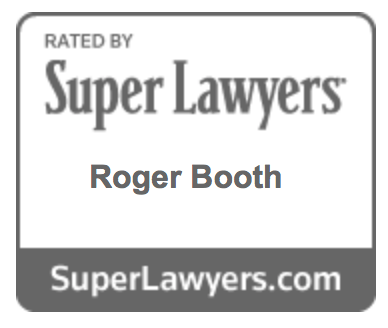 In a legal career spanning more than 20 years, Roger Booth has handled many large, complex cases, representing both plaintiffs and defendants, and both individuals and corporations, throughout California and the United States. Since 1997, he has focused on representing people who have suffered catastrophic injuries or the loss of a loved one. Mr. Booth graduated with honors from Pomona College in 1987. He spent a semester during his senior year of college studying at Oxford University in England. He went on to attend Boalt Hall School of Law at the University of California - Berkeley, graduating in 1991. Mr. Booth then went on to work as an attorney at Pillsbury, Madison & Sutro (then the largest law firm in California) in San Francisco, where he handled a variety of large, complex business litigation and insurance bad faith matters. During his time at the Pillsbury firm, Mr. Booth took a leave of absence to work at the San Francisco Public Defender’s office, where he gained valuable jury trial experience representing criminal defendants. In 1997, Mr. Booth joined his father, Larry Booth, at Booth & Koskoff and quickly made his mark as a plaintiff’s attorney. In 1998, in just his second personal injury trial, he (along with Richard Koskoff) obtained a $1.6 million verdict in Orange County, setting a record for a hand injury case in that courthouse. That result generated a great deal of attention in the legal press. [Article PDF] Since then, Mr. Booth has handled more than 20 cases that have resulted in verdicts or settlement in excess of $1,000,000. In 2012, he obtained a $4 million jury verdict against the County of San Diego in a wrongful death case in which the County had offered only $100,000 in settlement before trial [Case Study]. 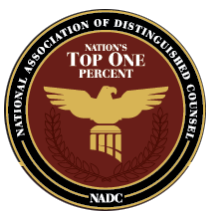 Since 2009 he has been named a “Super Lawyer,” an honor limited to the top 5% of attorneys in Southern California, every year. 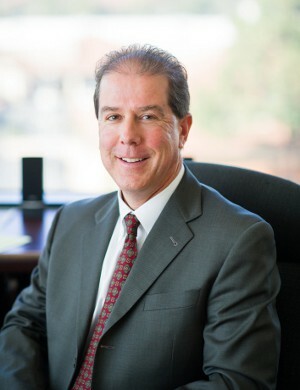 Mr. Booth has been an active member of the Consumer Attorneys Association of Los Angeles (“CAALA”), frequently writing articles and giving speeches at CAALA events on subjects related to personal injury practice and trial tactics. In July 2006, he was named CAALA’s “member of the month.” He has also written numerous articles for other legal publications. Mr. Booth lives in the South Bay area of Los Angeles with his wife and four children and enjoys coaching youth sports, competing in triathlons and gardening in his spare time.